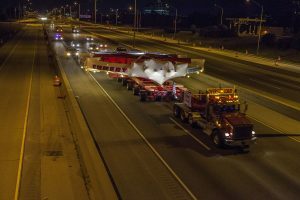 The Muon g-2 experiment, located at the U.S. Department of Energy’s (DOE) Fermi National Accelerator Laboratory, has begun its quest for those insights. 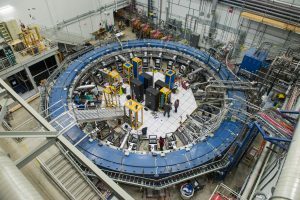 On May 31, the 50-foot-wide superconducting electromagnet at the center of the experiment saw its first beam of muon particles from Fermilab’s accelerators, kicking off a three-year effort to measure just what happens to those particles when placed in a stunningly precise magnetic field. The answer could rewrite scientists’ picture of the universe and how it works. Getting to this point was a long road for Muon g-2, both figuratively and literally. The first generation of this experiment took place at the U.S. DOE’s Brookhaven National Laboratory in New York state in the late 1990s and early 2000s. The goal of the experiment was to precisely measure one property of the muon – the particles’ precession, or wobble, in a magnetic field. The final results were surprising, hinting at the presence of previously unknown phantom particles or forces affecting the muon’s properties. Learn more about the Muon g-2 experiment. 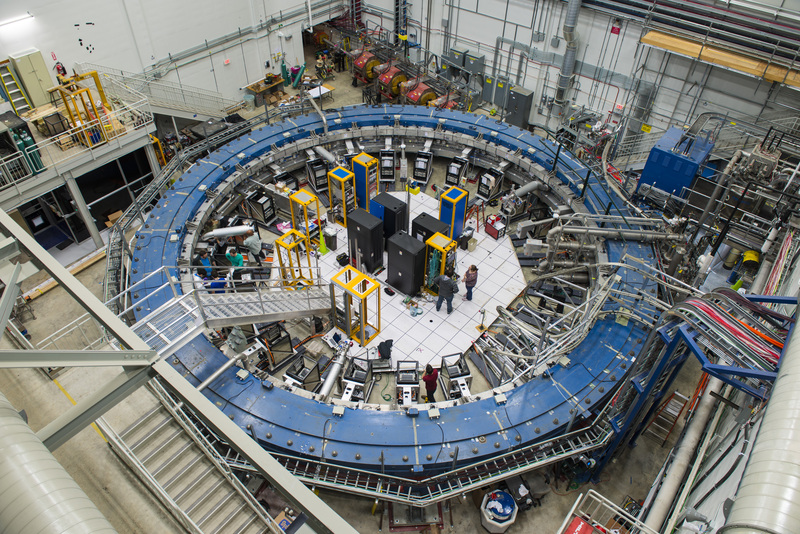 Take a 360-degree tour of the Muon g-2 experimental hall below, or open the tour in full screen.